Curly Services at Tower of Curls & Beyond! For your 1st visit, we book 2 hours. This gives us the time to teach you curly techniques and answer any questions you may have. Plus we will need to fully dry your curls to complete the Custom Curl Cut. at Tower of Curls & Beyond! 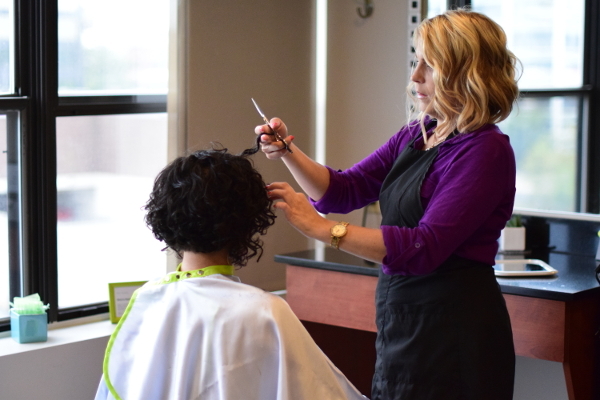 A Custom Curl Cut is performed on dry hair with no comb, just our hands and shears. Cutting curl by curl on dry hair, allows us to see the natural patterns and tailor the haircut. With a Custom Curl Cut most clients will find they can go longer between haircuts. Before we pick up the shears, we’ll talk and make sure we both have a clear understanding of the haircut we want to achieve and future curl goals. We'll teach you how to cleanse, condition and style with the best products to fit your curl type. We can also discuss second day refresh ideas along with tips & tricks to get you comfortable with your curls. Come in with your hair 100% dry, detangled and naturally curly. Feel free to style your curls with the products you are currently using. Please no ponytails, flat ironing, curling iron, hats or headbands. A dry custom curl by curl cut, cleanse, condition & style. Education is always continued, so feel free to ask any questions, talk about goals or techniques that are working or not for your curls. Detoxing your curls followed by a deep conditioner is always included. After we've become comfortable with each other and your curls, we can perform the dry curl by curl cut and do a refresh spray to finish the style. Cleanse, condition and proper product application as needed. 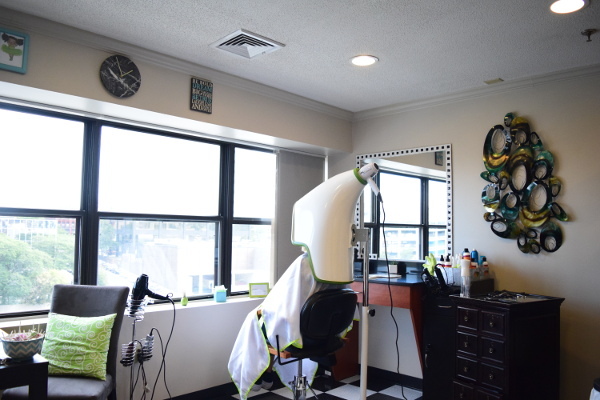 Then relax under the Deva dryer for a fresh look.